Where is it? : Calpatanna Waterhole Conservation Park is approximately 25 kilometres south-east of Streaky Bay at the corner of Calca and Baird Bay Roads. Property summary: Total area 3644 hectares. Hundred of Wrenfordsley – Sections 121, 122, 128, 129, 144, 179, 180, 189, 248 and 249. History: The park was proclaimed on 14 February 1974. Sections 248 and 249 were added on 11 July 1985. 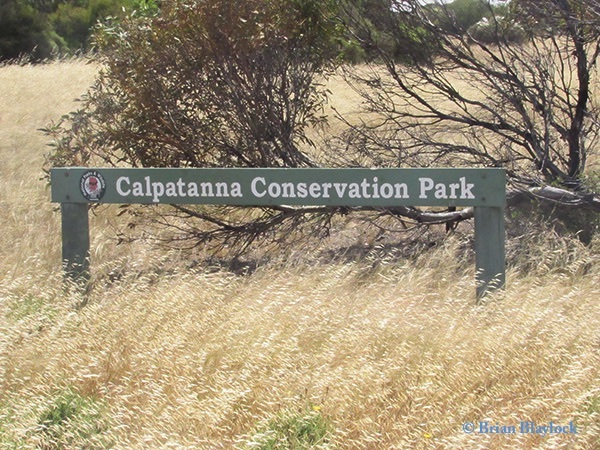 Habitat: There is a 500 hectare claypan lagoon in the south-western quadrant of Calpatanna Waterhole Conservation Park and a complex of smaller lakes along the remainder of the western side. 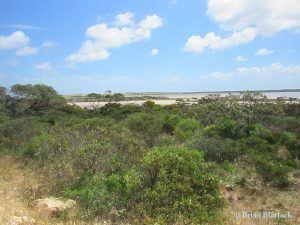 In this area a narrow zone of samphire low shrubland is found. A complex system of low-lying but rarely inundated flats extends from the western salt lakes to the eastern boundary covering approximately 26 per cent of the park’s area. These flats support an open-scrub dominated by Swamp Paper-bark (Melaleuca halmaturorum). 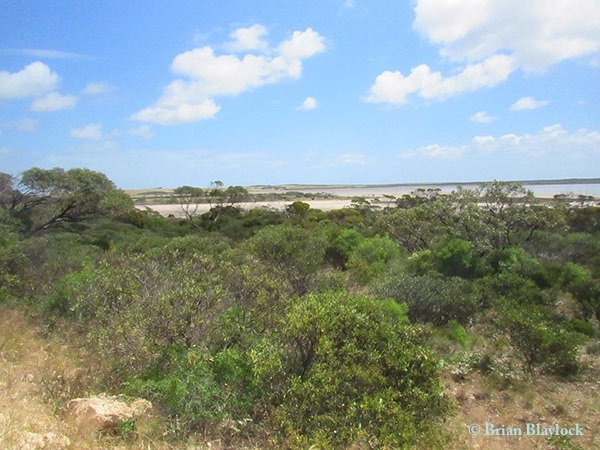 Much of the park is dominated by mallee open-scrub with White Mallee (Eucalyptus dumosa), Yorrell (E. gracilis), Kingscote Mallee (E. rugosa) and Yalata Mallee (E. yalatensis). There are also areas of introduced grassland as a result from clearing and grazing of native vegetation before the dedication of the park.